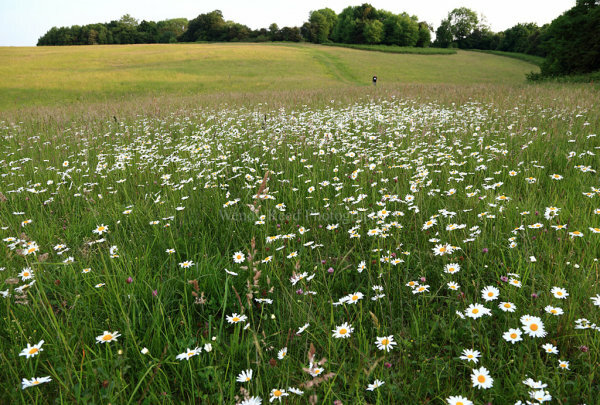 Maidensgrove Common is lovely at any time of the year but particularly so when the ox-eye daisies are out. I love the sense of space you get when you walk across this lovely wild area. The ox-eye daisies grow in a number of small clusters dotted across the common. The meadow grasses are lovely in the evening sun and the ox-eye daisies shine out white. I visited on a lovely sunny warm evening and just enjoyed being there waiting for a suitable person to appear to add scale to the photograph.